Another year on, the missing Harrison children return with Mendel, the wizard goldfish. James Peck is yet again at the helm when the people of Drumfintley are thrown into their most dangerous adventure yet. Mendel’s plan is to rescue Cathy Peck, but much more besides… His aim is to bring back a world already destroyed by an exploding sun. They are pitched against Dendralon and a host of new creatures in an amazing array of battles that test the resolve and ingenuity of the Scottish villagers and Mendel alike. Peter and Tara are in for a surprise when an unexpected egg mysteriously arrives. Only Professor P can solve the mystery of the strange egg and save the day! 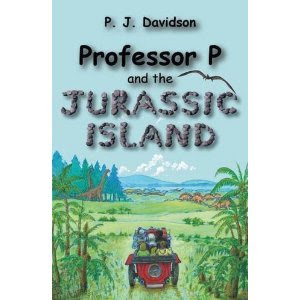 Professor P and the Jurassic Island is a fantastic adventure to the Jurassic world of the dinosaurs. Includes a fun filled guide to the top ten Jurassic dinosaurs. 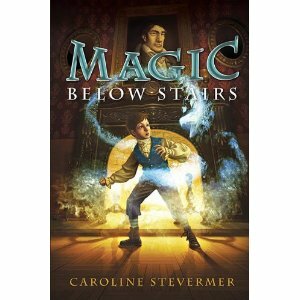 Young Frederick is plucked from an orphanage to be a footboy for a wizard named Lord Schofield in Victorian England. Is his uncanny ability to tie perfect knots and render boots spotless a sign of his own magical talent, or the work of Billy Bly, the brownie who has been secretly watching over him since he was little? No matter, for the wizard has banished all magical creatures from his holdings. But Billy Bly isn’t going anywhere, and when he discovers a curse upon the manor house, it’s up to Frederick and Billy Bly to keep the lord’s new baby safe and rid the Schofield family of the curse forever. Just wondered if you had reviewed any of the books mentioned above?? Just wondered if you had reviewed any of the june reading pile?? Currently there are no reviews for any of the above books mentioned, as I am unable to review every book - unfortunately I just don't have time to review them all. 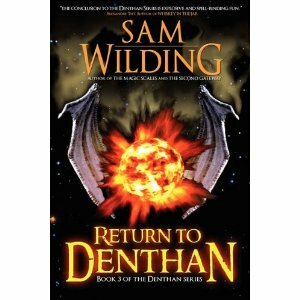 I decided not to review the new Sam Wilding book as I had reviewed the other two and previously enjoyed them.